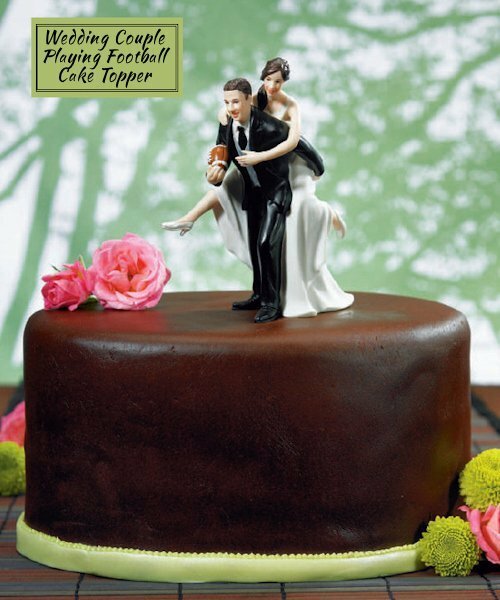 Score a touch down with this funny and whimsical wedding cake topper, perfect for football fanatics. 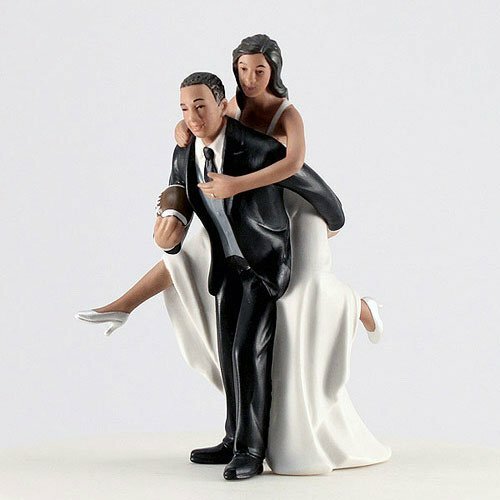 The playful, yet beautifully detailed and hand-painted porcelain topper, depicts a bride and groom carrying a football. 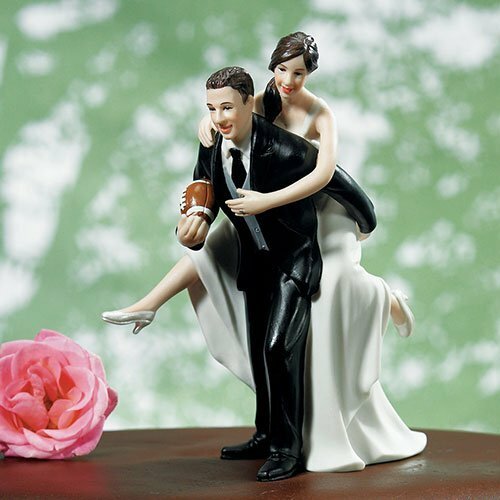 Let your guests know that you scored big on your special day! 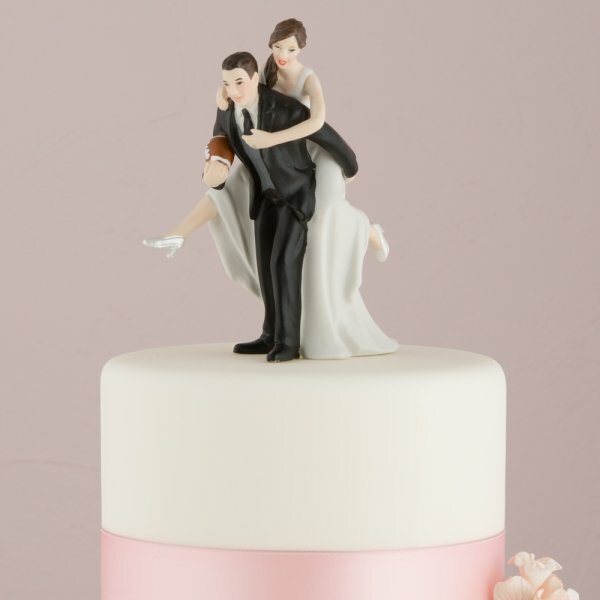 The delightful couple will be a memorable addition to your wedding cake. 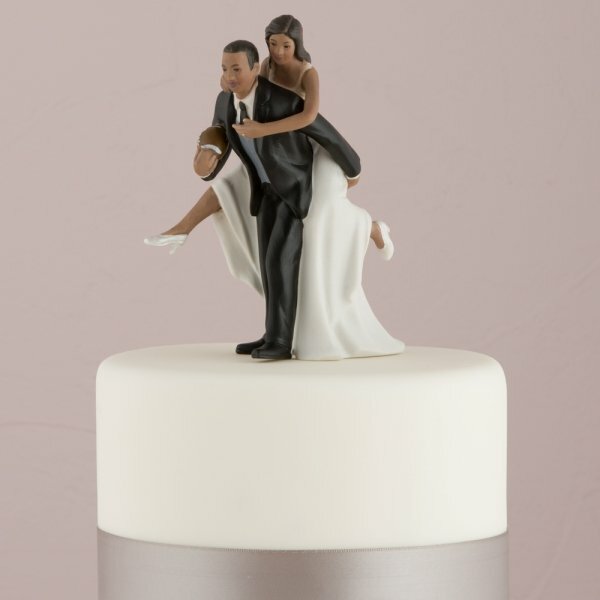 Perfect for African American, Caucasian, Hispanic and Latino couples since this topper is available in 3 skin tones. 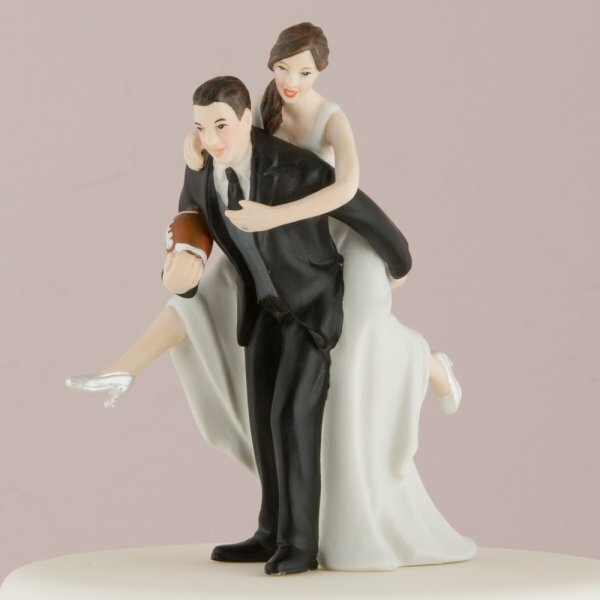 Product dimensions: 2.75" Width x 5.5" Height. 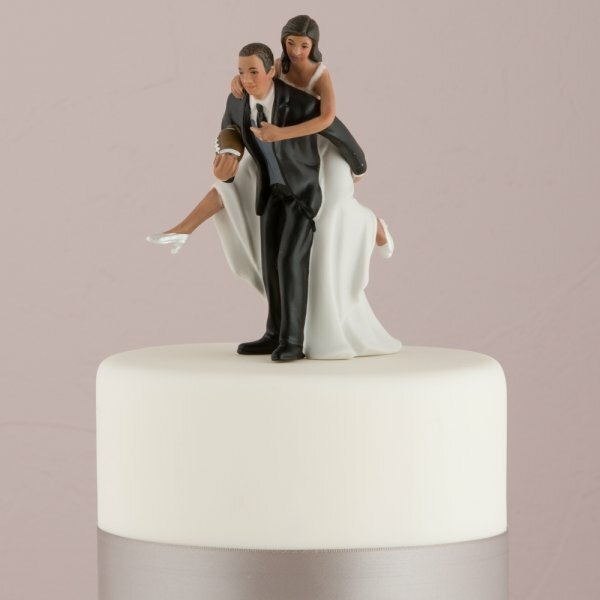 Base: 2-13/16" x 2". Weight: 5.6 ounces.